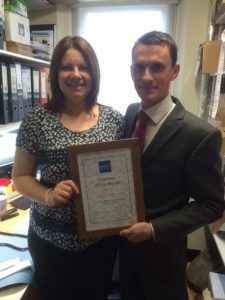 Congratulations to our Employee of the Month, Jana Kulpova. Jana joined the team over 12 years ago. As office manager she is responsible for balancing the books, from invoicing, banking, wages and you may even find her booking meetings and taking restaurant reservations. Jana is her happiest though when working in a spreadsheet! 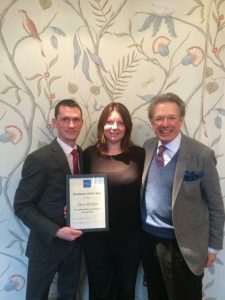 On Jana’s 10th anniversary, Tim Hart awarded Jana with an overnight stay for two at Hambleton Hall to show his appreciation for her commitment to Hart’s. 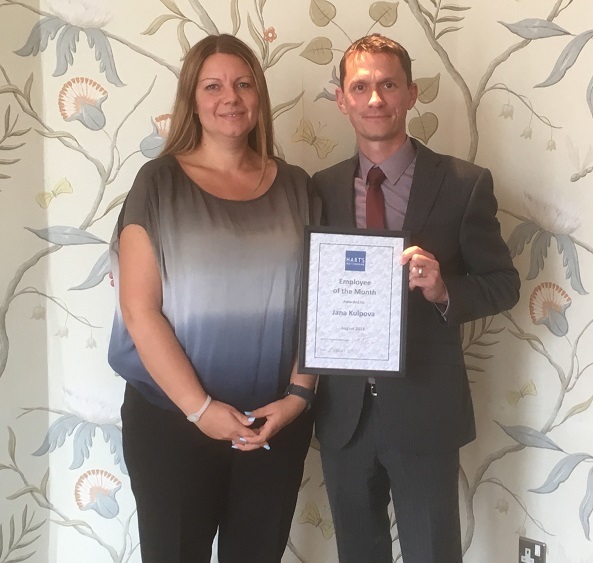 Jana continues to be a valued member of the team and we would like to show our appreciation for her dedication and hard work. Here’s a couple of archived photos of Jana receiving her previous awards.